Leaders are activated using activation points. Each leader has a cost to activate based on his rank. 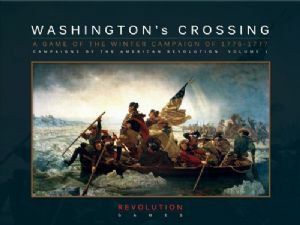 Washington's Crossing uses an original system for river crossing that simulates the uncertainty of the winter crossings. Each strength point represents 10 men. Map Scale is 1.14 miles per hex. Combat system simulates surprise, leader quality, and outflanking.